Organizers of Delaware's Firefly Music Festival have unveiled the complete schedule for next month's four-day festival. A daily schedule had already been released, but fans now know the exact set times, giving them a chance to see whether any of their favorite bands will be playing at the same time on different stages. The festival kicks off Thursday, June 16 at 5:15 p.m. with Los Angeles electro-pop trio LANY and the dream pop group Twin Limb. Headliners Kings of Leon will play a 90-minute set the next day, starting at 10:45 p.m.
British folk-rockers Mumford & Sons have been given the largest slot of the festival. Their 2-hour set will start at 9:15 p.m. on June 19, partially overlapping with Major Lazer. 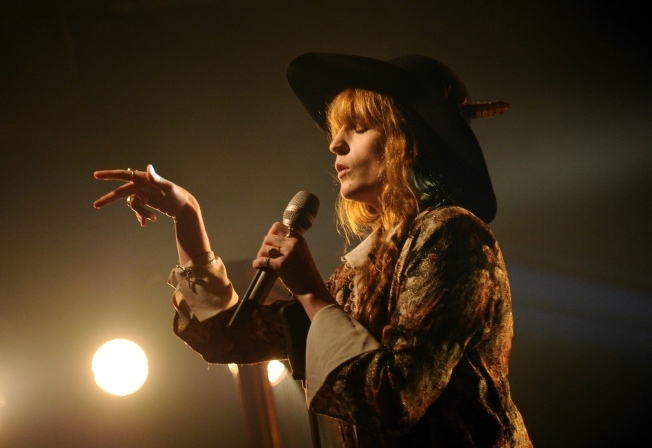 Other headliners include Florence + the Machine and Deadmau5. Since its inception in 2012, the festival has been held at the Woodlands of Dover International Speedway, about two hours from downtown D.C.